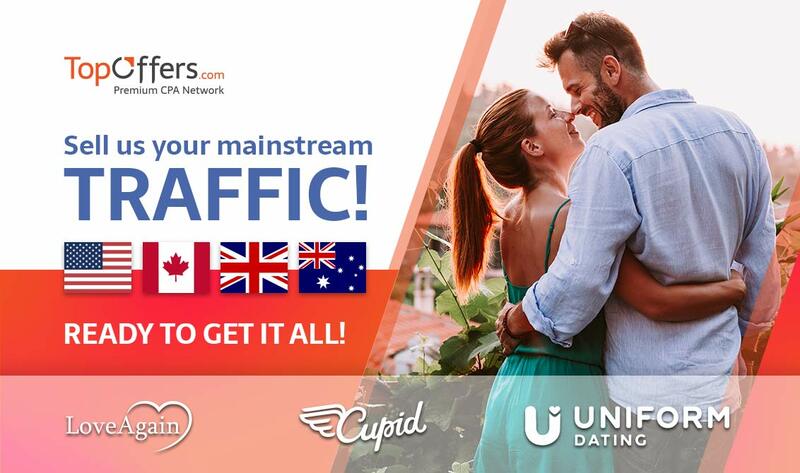 Try the rapidly growing Asian dating market with worldwide known Together Networks brands Wildmeets, Upforit, Loveaholic and, as a bonus, be absolutely overwhelmed by RomanceTrain, an exclusive local site from our Japanese partner, KeyJapan. Still thinking about it? Set yourself up for success with TopOffers now! Last edited by TopOffers; 06-27-2018 at 09:40 AM. Recently we have got an Attila O'dree review of TopOffers! 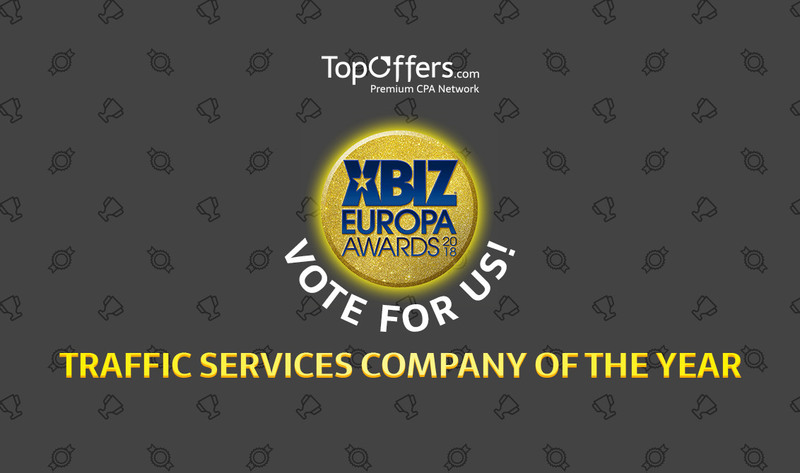 TopOffers Nominated for prestigious Xbiz Award! 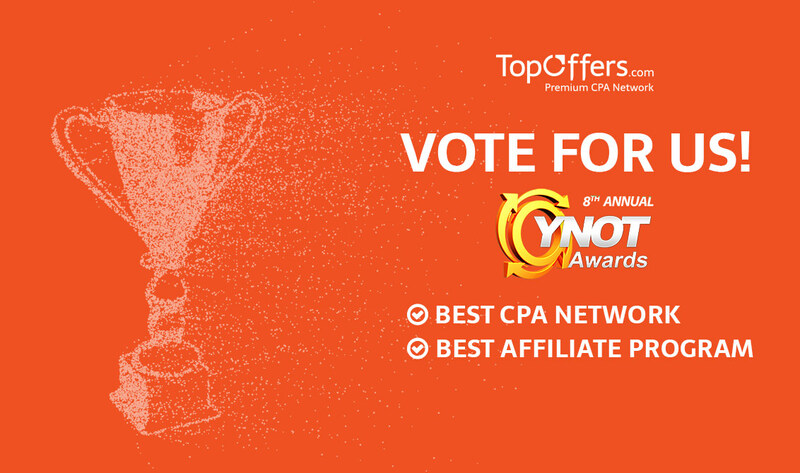 Select the "Web & Technology" category and cast your vote for the "Traffic Services Company of the Year" category. It was a great honor for us to see our partners’ positive feedback and become a nominee for such prestigious titles. Top Dating Offers for Germany,Italy,Japan! Check out exclusive offers for top dating brands! Join now! Monetize traffic and level up your profit! Last edited by TopOffers; 08-16-2018 at 04:21 PM. Check out our new premium dating offers! 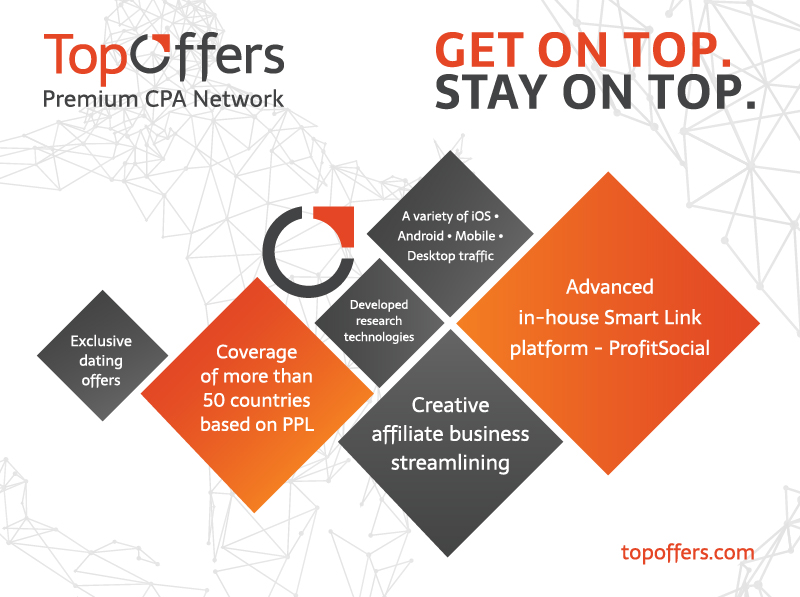 TopOffers is a premium CPA network with exclusive offers and high-quality traffic from the best publishers. We monetize traffic from around the world with the highest EPC. •	Full access to real-time reporting and statistics. Yes, you read this correctly. Just by being an TOPOFFERS affiliate, you will be able to enter the TES Affiliate Conferences , which will take place from 1-4 March 2019 in Lisbon-Cascais, Portugal, absolutely for free. This will save you the 450 Euro entrance fee at the door - and it will take you less than 5 minutes! 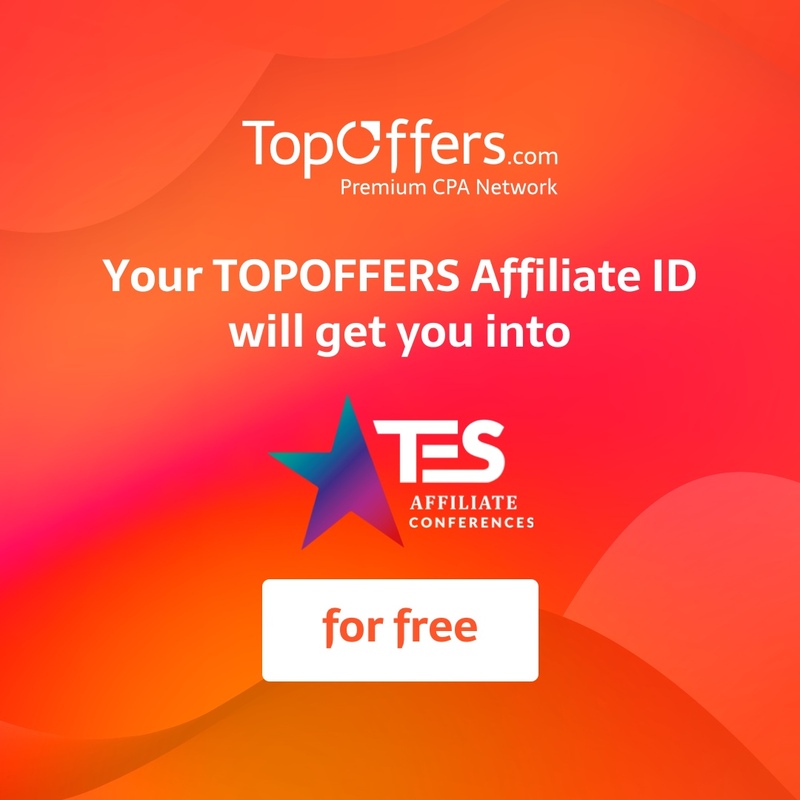 What do you have to do to claim your free affiliate pass sponsored by TOPOFFERS? Visit https://www.theeuropeansummit.com/affiliate-guide/ and read the “Sponsored Affiliate Pass Guidelines” very carefully. If you qualify for a sponsored affiliate pass according to the “Sponsored Affiliate Pass Guidelines”, click on the link on the bottom of the webpage. Start registering yourself. Once you get to the “I send traffic to” field of the registration process, please make sure to enter your TOPOFFERS affiliate link including your unique TOPOFFERS Affiliate ID. That´s all! You are done! In case your application for an affiliate pass sponsored by TOPOFFERS was successful you will receive a confirmation mail within the next 24 hours following your application. To set up a business meeting at the TES Affiliate Conference with someone from the TOPOFFERS affiliate team, please click here. We are very much looking forward to meeting with you in amazing Lisbon-Cascais! 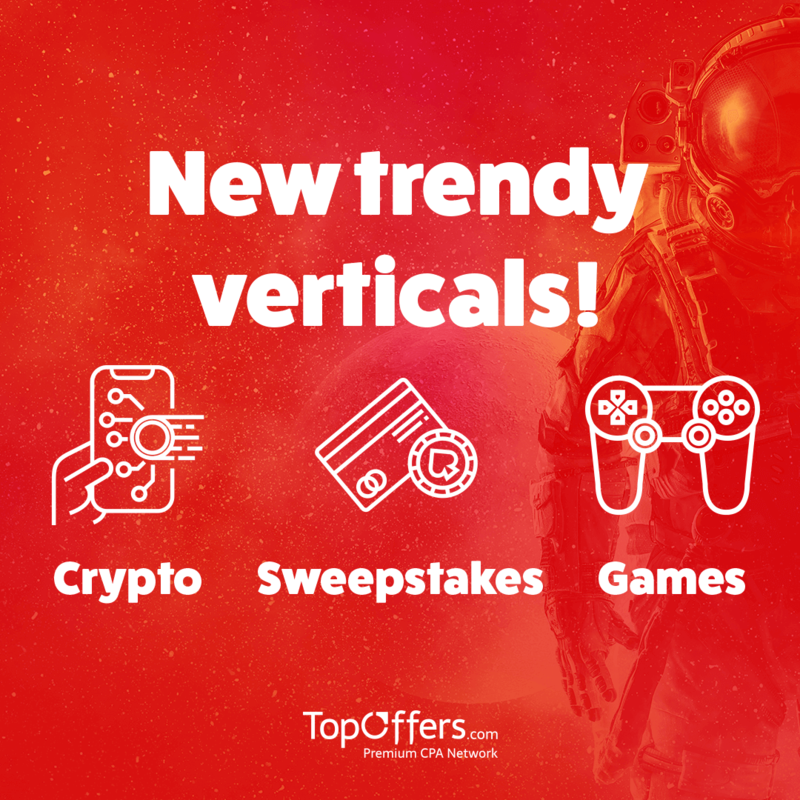 We are happy to announce our high-performing mainstream offers! 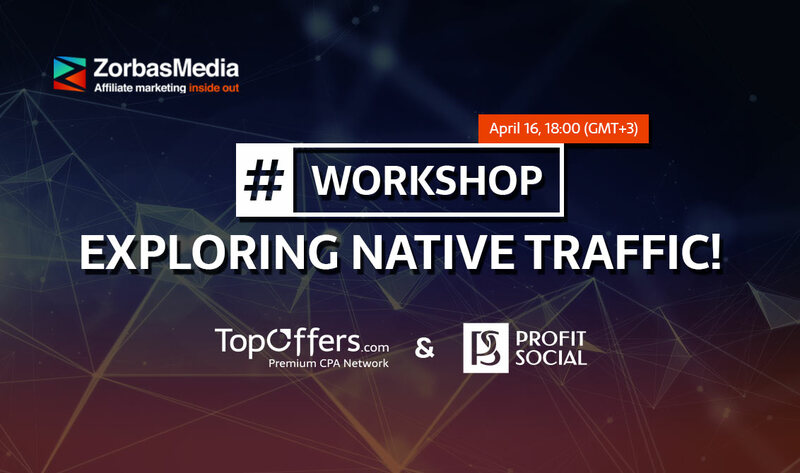 Join us today at 6 pm (GMT+3) to discuss Native Advertising and learn tricks and tips from the experts. We will figure out what converts best in dating and what approaches you should use.